Today I wore a sheer laced top from F21 paired with a muted maxi skirt. I’ve been trying to beat the heat this summer by wearing pieces that are minimal and fuss free. 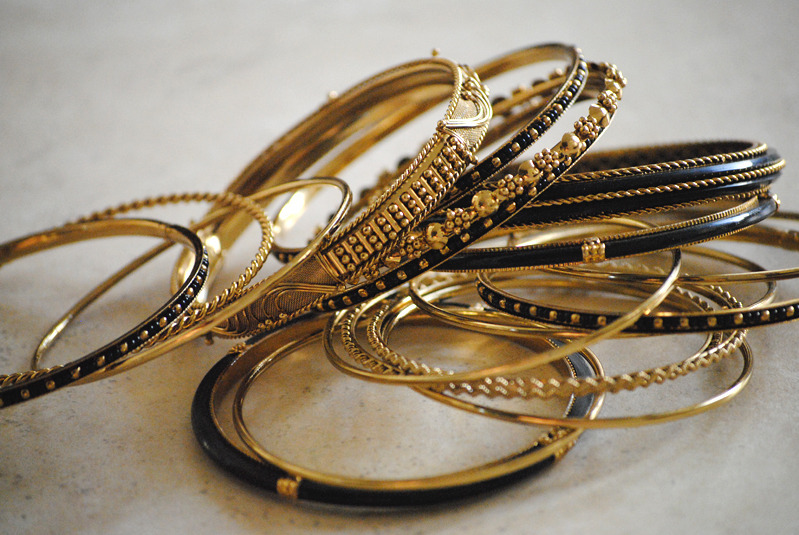 I accessorized the simple silhouette with an arm-full of stacked bangles from Amrita Singh.